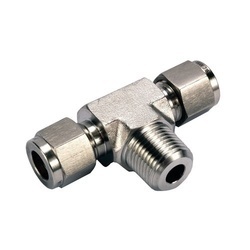 We are the Manufacturers of Compression Tube Fittings. We Manufacture Double Ferrule Fittings from Forgings/ Bars. We have inhouse CNC Machine, Lathe Machines to give us the best quality product. Tapered Male thread on a push fit tee connector. - Thread Size M5 to 1/2"
We are counted as top most names in this domain, committed towards providing a wide array of Male Branch Tee. These products are made from carbon steel and brass. 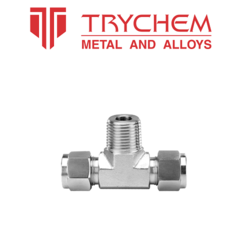 Leading manufacturer & exporter of male branch tee, male branch tee, alloy steel fittings, alloy steel flanges, alloy steel pipe, alloy steel tubes & buttweld pipe fittings from India. Our company is a trusted name that is occupied in the field of supplying premium quality Male Branch Tee. This product is subjected to various quality checks based on various parameters at our vendor’s end.